The accommodation sector in Georgia is gradually developing, offering a wide range of accommodation units for visitors. Investors who want to open a company in Georgia should know that, since the beginning of 2018, 18 new hotels were opened, which accounts for 1,624 beds and 812 suites. In order to open a hotel in this country, the investors will have to obtain specific business licenses and permits and our team of specialists in company formation in Georgia can advise on this matter, as well as on other related aspects. Investors may find interesting business opportunities in the Georgian tourism industry. The local authorities are implementing new development projects created to increase the value of this field and, in this sense, we can mention the water supply project, designed to assist the needs of the Gudauri touristic region, known for its skiing services. Our specialists in company formation in Georgia can provide more details on the tourism industry and on the business permits that are necessary for carrying out this type of activity. The Georgian internet technology market will soon develop to a new level, as the local authorities have recently announced a new investment project in this sense. The project consists of building the first high-tech center, which will be named Sillicon Valley Tbilisi. 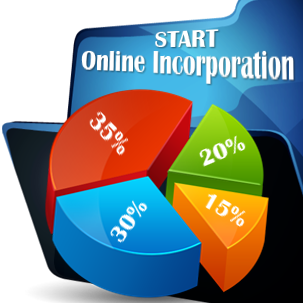 Businessmen who want to establish a company which is dependent on internet services can receive assistance on this matter from our team of specialists in company formation in Georgia, who can provide their expertise in all the stages of the registration process. Georgia provides attractive business opportunities due to an important trend created by the local government, which is establishing investment and trading agreements with numerous countries and international institutions. Businessmen interested in setting up a company in Georgia are further sustained in this process due to a new investment project, which was recently signed with the European Investment Bank (EIB) that will grant a total sum of EUR 100 million. Our team of Georgian company formation representatives can offer assistance to businessmen interested in accessing funds in this country. In 2015, as well as in 2016, the Georgian government developed several investment projects, set out to develop the local economy, by attracting the local and foreign businessmen who are willing to invest in this market. Another investment policy recently announced by the Georgian government refers to the development of the agriculture, which will be sustained by a substantial financial aid offered by the European Union (EU). Investors interested in the field of agriculture can request more details on this new project from our team of Georgian company formation representatives. 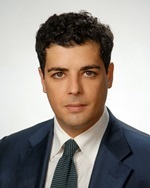 Foreign businessmen who are seeking for new locations where they can set up a company or an investment project can take into consideration Georgia, as the local authorities have started in the last few years several development projects, created to increase the value of a specific field, while imposing a favourable legal system attractive to foreign entrepreneurs. Another good aspect of the governmental policies carried in Georgia refers to the Environmental Law, which marked significant positive changes. Our team of Georgian company formation representatives can offer a presentation on new regulations. Georgia represents an important business market for foreign investors, as the local authorities started several years ago important investment projects, carried out in many economic sectors. The energy sector provides significant business opportunities, as the energy consumption increased in the last decade, both in Georgia and in the neighboring states. 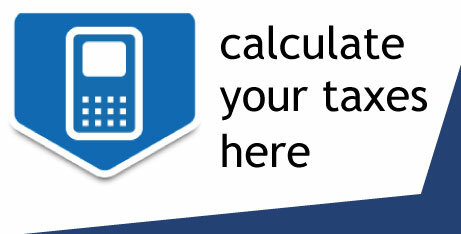 It is estimated that, at the moment, the energy potential of the country is used only in a proportion of 25%. Investors interested in this sector can receive an in-depth presentation on the matter from our team of Georgian company formation specialists. At the moment, Georgia is running several important investment projects, as the country is interested to develop numerous economic sectors which are appealing to foreign investors. The representatives of the state recently met with the delegates of Canada and South Korea to discuss the investment opportunities that are available on the Georgian market. The Canadian and Korean parties appreciated the steps which have been made by the Georgian part in terms of investments; at the same time, they also stressed out the touristic potential of the country. 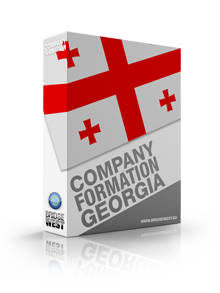 Entrepreneurs who are interested in finding out more on the investment projects carried out in Georgia can receive an extensive presentation on this matter from our team of Georgian company formation specialists. The Georgian government has started in the last years several large investment projects, set out in order to attract local and foreign investors who can have very good economic prospects on this market. One of the latest projects that will be enforced by the Georgian authorities aims at the innovation in businesses, sustained through a project developed alongside with the World Bank, which will invest $40 million. Businessmen who want to open a company in Georgia can receive assistance on this matter from our team of Georgian company formation specialists. The business environment in Georgia is rather attractive, as new investment projects are being implemented by the local authorities. An important aspect in this sense is the fact that the state reported financial growth in the last quarter of 2015; the economic growth was established at 2.9%. Foreign investors who want to open a company in Georgia are advised to receive the assistance of our Georgian company formation specialists, who can offer details on the main business sectors that could provide various financial opportunities. Georgia is a state which began to invest in many economic sectors that have a financial potential; foreign investors interested in the business environment available in Georgia should know that there are opportunities to develop a successful company here. At the moment, Georgia began a new project which refers to the construction of the first wind power plant that will function in this state. Foreign businessmen who want to establish a company in Georgia can receive assistance from our Georgian company formation specialists, who can offer a wide range of company incorporation services. Georgia is a beautiful country with huge touristic potential yet tourism in this country oscillates between the very know places and less popular but more spectacular sites. Foreign investors can take advantage of these touristic pearls and invest in Georgia’s tourism. Honey is the latest valuable export product from Georgia. Along with wine, which made the country internationally famous, this sweet product is preparing to become a leading export produce. Georgian authorities are making plans to support beekeepers in the country, and with such great “buzz” around this field, foreign investments in the area might grow in the coming years. Georgia is a beautiful country that has great potential to attract tourists. The entrepreneurs in Georgia who invest in tourism and businesses operating in this business field know how to exploit the natural beauties of the country. Georgia has 103 official resorts that could have great business potential with the right investments. Our company registration experts in Georgia can tell you more about business opportunities in this field. Georgia is an important exporter of hazelnuts and the government has an ambitious plan to transform the country into the world’s second largest hazelnut exporter in the next five years. Foreign investors who want to open an import/export business in Georgia can consider this business field as hazelnut exports have more than doubled in this country, compared to last year.